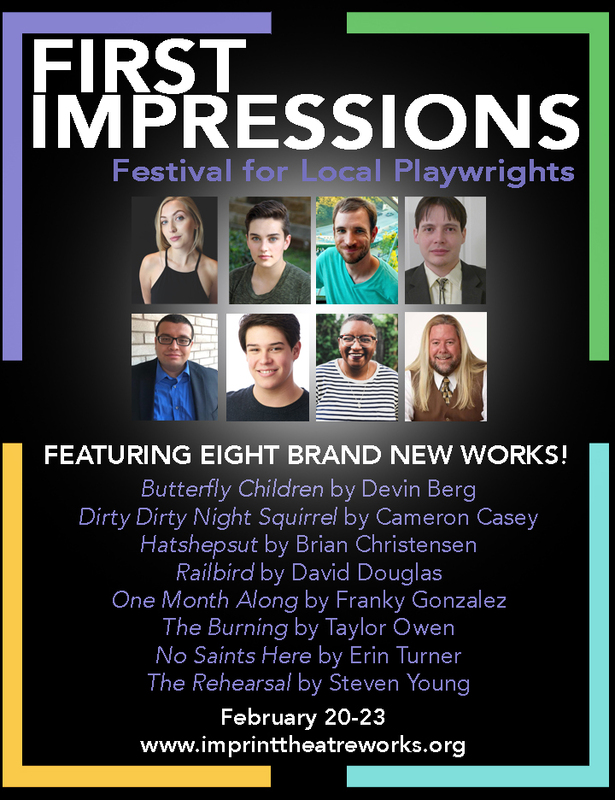 Railbird is one of eight plays selected by Imprint Theatreworks to receive a staged reading in the second annual First Impressions Festival for Local Playwrights! In addition to the readings, the festival will feature Q&A panels, talk-back sessions, and other networking opportunities geared toward providing awareness, opportunities, and support for local Dallas–Fort Worth playwrights. Railbird will close out the festival on Saturday, February 23rd @ 9:30pm. and “Perfect Pairings: Crafting a Hero and Heroine Who Were Made for Each Other” with Allie Pleiter. In addition to working the Stage Writers exhibitor table at WORDfest, David Douglas will be on the (10:30–11:15am) author panel: "Writing Outside Your Identity" — tips for responsibly and realistically portraying other races, genders, abilities, & beliefs. Don't miss the first public reading of my debut play, Railbird. Featuring a new playwright each month (January–March), Our Productions Theatre Co. hosts their 2nd annual Play Readers Club. To kick off the new season, Railbird has been selected as the featured script for January and will be read aloud then discussed, book club style. The event is FREE and will be held in the Medical City of Lewisville Grand Theater (Lewisville, TX).